I really liked reading this book. I've been a huge fan of patrick swayze as long as I can remember. I found out many things I didn't know about him and his life. He talks about his experiences during certain key movies and life experiences. 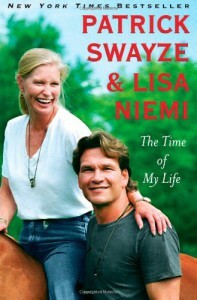 He writes really well and I think every Patrick Swayze fan should read it. I love how honest he is - even about his bad choices and mistakes. It's a quick read and I found it to be very interesting. Part of me wishes the story continues beyond where it really ends, but I think it would break my heart even more. Great guy, great book if you liked him.